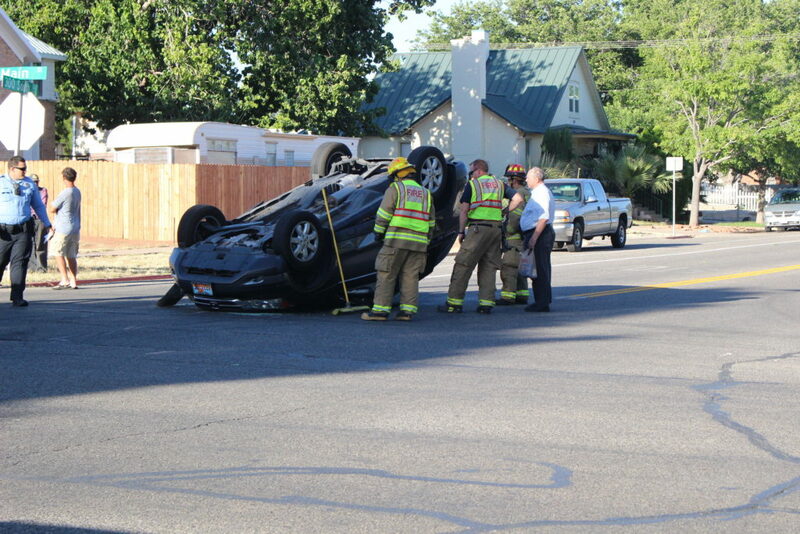 ST. GEORGE – An SUV was flipped onto its top Friday after colliding with another vehicle on Main Street. 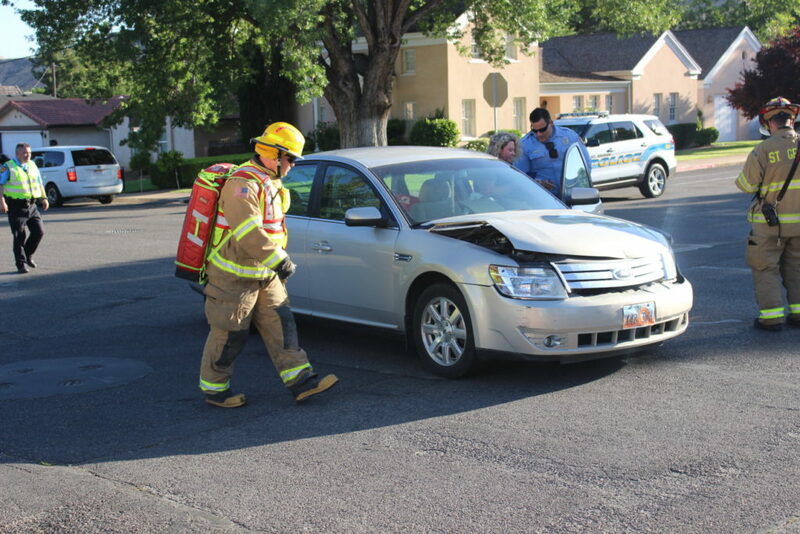 Just before 7 p.m., a Hyundai SUV crossing into Main Street from 300 South collided with a northbound Ford Taurus. 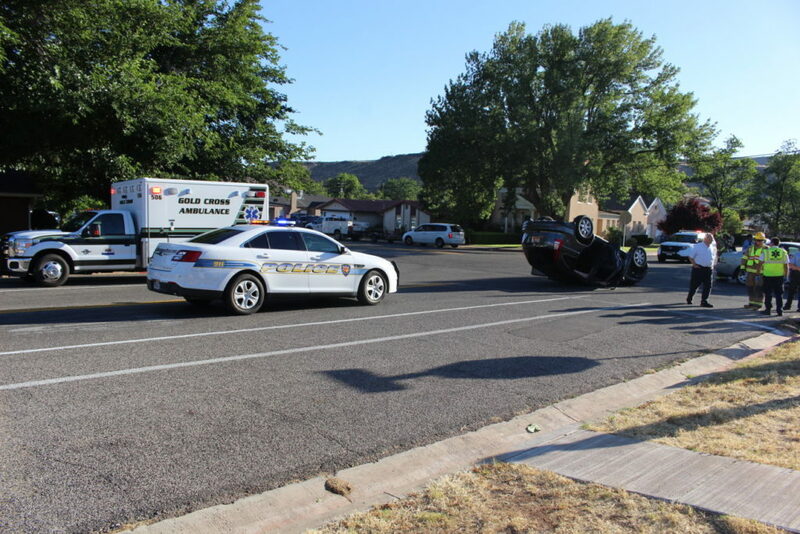 The Taurus hit the SUV in a rear corner and caused it to spin and flip over, St. George Police Sgt. Albert Gilman said at the scene. 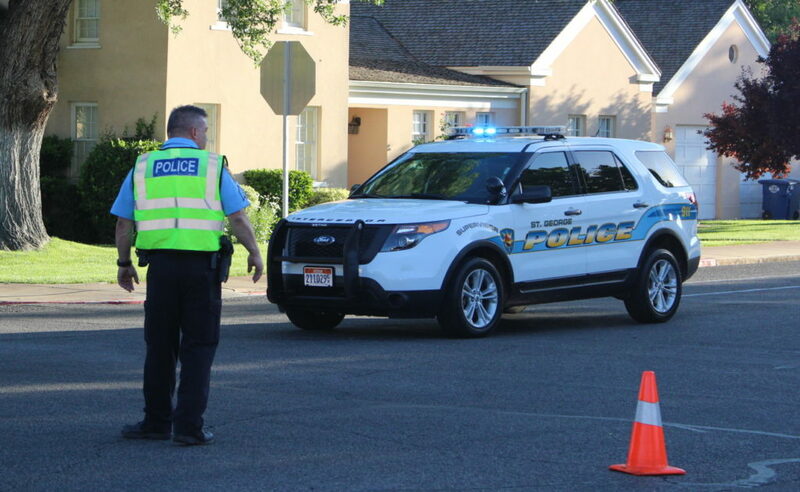 The driver of the SUV told police she had stopped at the stop sign on 300 South, yet had not seen the oncoming Taurus when she began to move onto Main Street. 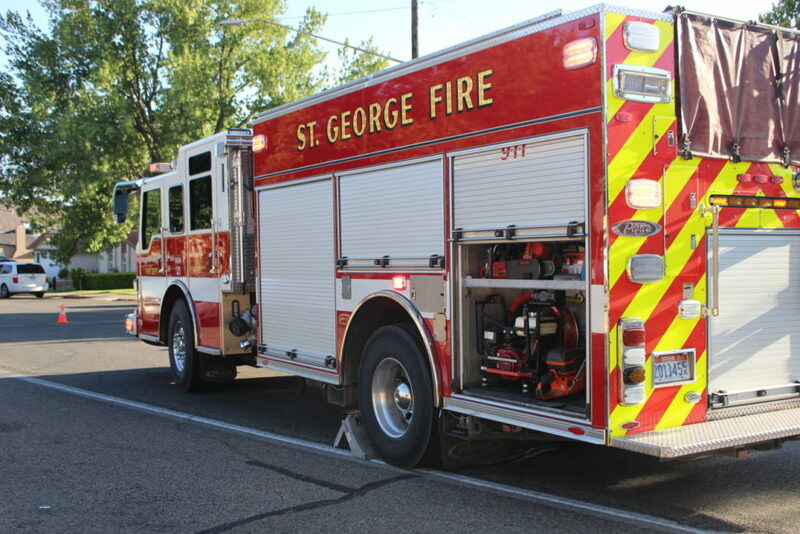 Fortunately no one was harmed in the incident, though both vehicles had to be towed away. The driver of the SUV was issued a citation for failure to yield, Gilman said. I’m gonna go as far as to say it take “mad skills” to flip a car on the first go around like that. There’s probly guys out there with years of experience flipping cars (like stunt men and what not) who couldn’t do it all suave-like on the first try. Try and top that I’d dare anyone. LOL. You’re right, Bob. At least yesterday’s pickup truck rollover on Bloomington Drive had a bit of an incline off the road.